Dr. William E. Mason is proud to announce Dr. Monica Lamble has joined his growing Saginaw Township periodontal and dental implant practice. In recent years, Dr. Mason has experienced an increasing demand for his periodontal and dental implant services. With Dr. Lamble joining the practice, Dr. Mason is able to see patients in a more timely manner. “We are excited and proud to bring in such an accomplished associate. Dr. Lamble is a highly skilled professional who is compassionate and sensitive to her patients’ needs. She is a great addition to the office,” noted Dr. Mason. Outside of the office, Dr. Lamble is actively involved in the Michigan Dental Association, the American Dental Association, the Michigan Periodontology Association, and the American Academy of Periodontology. She has also donated her time at the Dentistry from the Heart event, which provides free dental services to those in need in the Metro Detroit area. In her free time, Dr. Lamble enjoys running, swimming, playing softball and basketball, as well as camping throughout Michigan with her family. 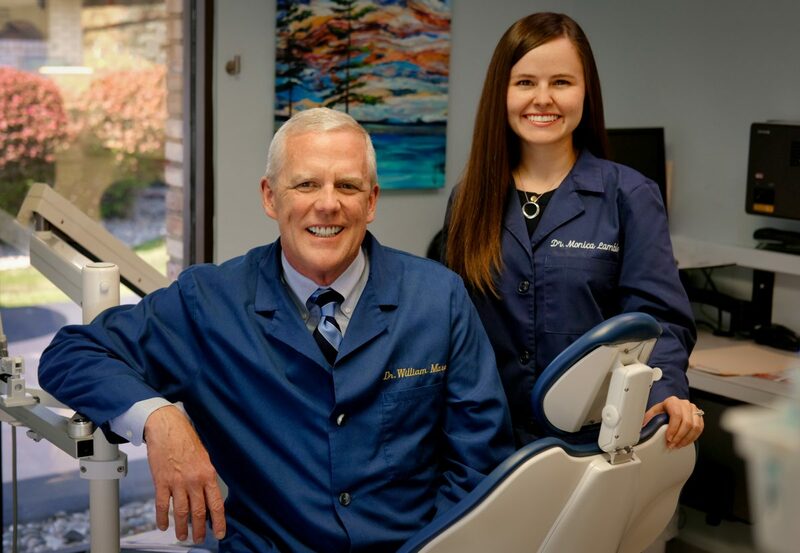 Dr. William E. Mason and Dr. Monica A. Lamble understand that seeing a dental specialist may be a new experience and you may feel a bit nervous. We also understand that many people are nervous in the dental chair. That’s why we do everything possible to put you at ease in our office. Every member of our highly-qualified team has the experience to address your unique concerns and make your periodontal or TMJ/TMD treatment as comfortable as possible. Monday – 8:30 a.m. to 5 p.m.
Tuesday – 8:30 a.m. to 5 p.m.
Wednesday – 8:30 a.m. to 5 p.m.
Thursday – 8:30 a.m. to 5 p.m.